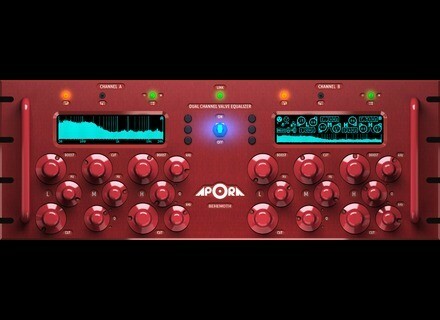 Behemoth, Parametric EQ from Apora. Apora is starting its activities with the Grandiose preamp and the Behemoth Pultec-type EQ. Both modules are rackable and feature two channels, a fully analog tube circuit and digital control, directly from the machine or remotely via Ethernet on a Mac or PC (a microprocessor is included). They also include a 99-bank memory to store the setting locally, you can also send the presets to your computer. Quality has been thought to the most detail, all the components are top notch, silent and long life guaranteed. These processors are built in limited quantities and have a 10 year warranty. Apora gives you the opportunity to try the devices during 3 weeks, visit www.apora-audio.co.uk for more info. New Square One nearfield monitors New Latvian manufacturer Square Audio introduces innovative powered studio monitors, the Square One. Allen & Heath Qu-Pac digital mixer Allen & Heath adds to its Qu series of digital mixers the ultracompact desktop and rackmountable Qu-Pac model. The Peavey PV mixers include Bluetooth In 2010, Peavey added USB to its compact PV mixers. In 2015, they upgrade the range with Bluetooth wireless connectivity.